I have, in what seems like a million lifetimes ago, been employed professionally to help people learn how to pay off debt. One client was so large it included much of the United States. A second time I was employed to teach people how to pay off debt was for a small company working within the mortgage industry. In both cases we improved people’s lives. I know that the information I am about to give you is accurate. That’s important. We are talking about your life, after all. 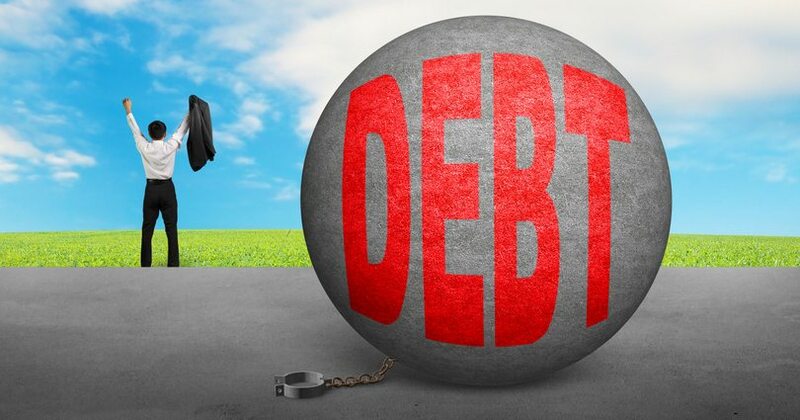 Debt is one thing most of us would like to completely remove from our lives! It’s not easy, but if you follow these simple steps, you definitely will be on the right path. Ironically, though, the first piece of advice doesn’t even come from me or my experience. It comes from Mark Cuban. Yes… the self-made billionaire. Cuban points out, in an article just released a few days ago, that the number one answer and step to follow in how to pay off debt (and become wealthy) is by controlling your own personal spending. Does it sound crazy to call this one, “pure genius” even though it’s so simple (and in hindsight obvious)? When I look back on my own life, I realize that even though I didn’t realize it, this is the one thing that has always been my go-to thing. It’s so obvious though, that I never thought of it as a step. Which means I also didn’t always control it. You see, most of my own problems have come from looking outside my own situation and basically pointing the finger at external forces. There really is no one else more responsible for your own future, your own debt, and your own wealth, than yourself. No one. But I used to think that my job was the issue. Or prices of things. Or the economy. Or taxes. You get the idea. Interestingly enough, though, this isn’t a criticism. This is a method. What you can do today is moderate your own spending—your own daily living, in a sense—and use the outcome to pay off your debt and accumulate your wealth. You don’t need ALL the fancy things you think you do. You may not even need any of them. If you can tame the wild beast that is your own spending, you will make it to the top faster. So says the self-made billionaire. 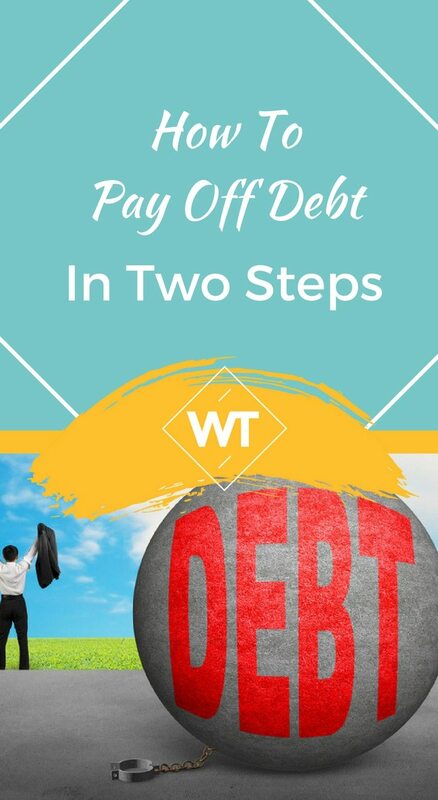 Now that you have more free money to use in your “how to pay off debt” quest. Where do you start? The answer here is one you may have found for other things in your life: start small. 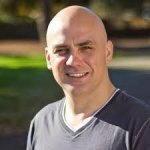 I learned this technique from Consumer Credit Counseling Services and they still use it today. When paying off your debt, pay off the littlest one first. Then, once you have paid the smallest one off, take the money that you used to pay that one down each month and then stack it up onto the next smallest one you have. Here is a little example using 3 debts. In this example you would spend that hundred on debt one for 5 months until it was completely paid off. After that, you add it on to whatever you were already paying for Debt 2. The extra amount paid towards it will make it go away faster. 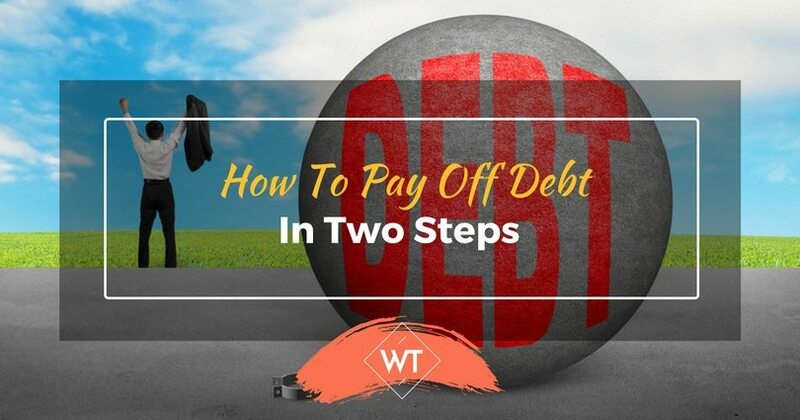 Once that is done, take the entire combined amount from those 2 payments that you USED TO BE PAYING and add them to the amount you are currently paying for Debt 3. Once this is gone as well, you now have the money that used to be paying on those 3 debts now going spare. Don’t start spending it. You are already used to living without it. Instead, start a savings account for yourself. Add to it each and every month and then, through the magic of compund interest, you will be well on your way. You have to mentally consider this “just another bill I have to pay.” But this time, the bill collector is YOU. Because your newest bill collector is, well, you . . . You have now started paying yourself first. This is what your new money is for. This is also why you have now set up a savings account. Here is what happens. If in Step 1, you stopped paying for Cable TV and drinking $5.00 coffees every day maybe you find you have $100 extra each month. Once you add in the $300 you USED TO BE PAYING towards your debts you maybe now have $400 a month extra (And really, the amounts don’t matter. The theory is the same.). That 400 becomes almost 5 grand extra in your first year. But after a few years (because of interest) you’re already at $15,000! Not the $8,000 you might think it should be. The reason this is so powerful is because it’s easy to think, “well . . . Yes, $400 extra is nice, but it doesn’t really change my life.” Well . . . This is where consistency pays off. It isn’t $400. It’s $15,000 or $25,000. I’m sure that helps. Also, remember: this article is called how to pay off debt. This means that you have ALREADY accomplished that part BEFORE we have started building you up all this extra cash.